Why did The Donkey see The Angel? Parashat Balak. If you wake up and repeat yesterday, nothing will change, and that includes the ( not ) coming of the messiah. So we have to come up with new ideas and interpretations every day. Today I want to talk about souls and animals, and I will make the connection to parashat Balak at the end. According to Jewish teachings, we have two souls: one is Godly and the other, animalistic. This implies that animals have ONLY an animalistic soul. All living things sustain themselves by being connected to what I call the Collective Conscious (CC). The CC pervades the entire universe. Our “Godly” soul, which is the essence of our lives, is our connection to the CC. When we are conceived, we become connected, and when this connection is severed we die. We receive our animalistic soul, (nefesh in Hebrew ) randomly, from a set of instructions in the fertilized egg. Our personality, our intelligence, our emotions, and the knowledge of good and bad are all contained in the animalistic soul, or the local soul. The animalistic soul defines who we are, and our connection with the Godly soul is a one-way connection. Access from the CC into our Godly soul is always permitted, but our access (when we are conscious) is blocked. It opens partially when we sleep and dream, and some individuals we call psychics have the ability to peak into it. When God originally created Adam and Eve they did not have an animalistic soul, and that’s why they could not differentiate between good and bad. Animals on the other hand, have a very minimal animalistic soul, and are always consciously connected to the Godly soul. Dogs can sense who likes them because they have the ability to look directly into our souls. That’s why dogs can seemingly read our minds, and always appear to know who likes them and who is afraid of them. 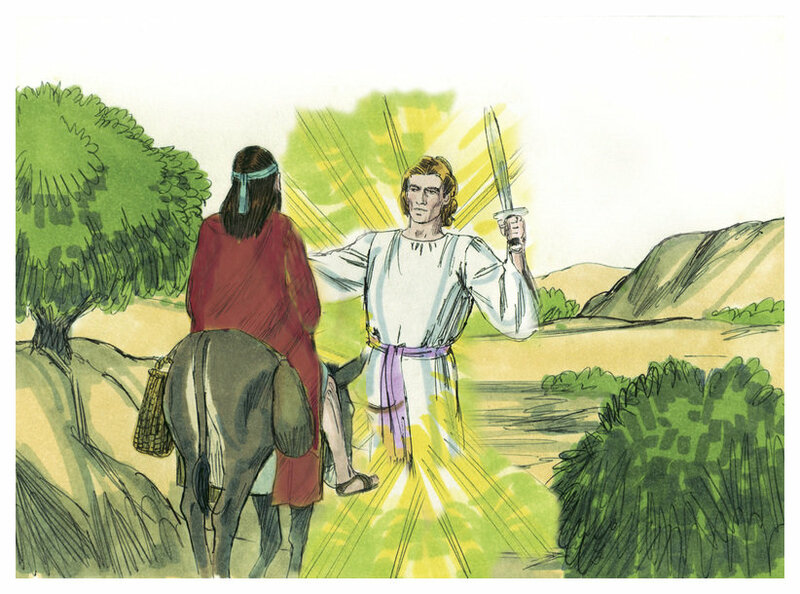 Regarding Parashat Balak: The donkey could see the angel because it was connected, while balaam could not. And when it says: “and God opened balaam’s eyes” ויגל ה’ את עיני בלעם וירא את מלאך ה’ וגו. it means that G enabled balaam to connect to the CC consciously and see the Angel. So tomorrow, when you wake up, open your eyes to the real reality, and the Messiah will not need to come… It will already be here!